This set of free jewelry box plans will help you build a gift for a lovely lady in your life that will appreciate this gift for many years to come. All the free jewelry boxes you see here include all the instructions that you need to build it. There are diagrams, photos, building directions, material lists, and cutting lists. You'll just need to gather everything together and do the building. This is a great woodworking project for the beginner or intermediate builder, and you can build a jewelry box in a matter of hours or days depending on what plan you choose to use. 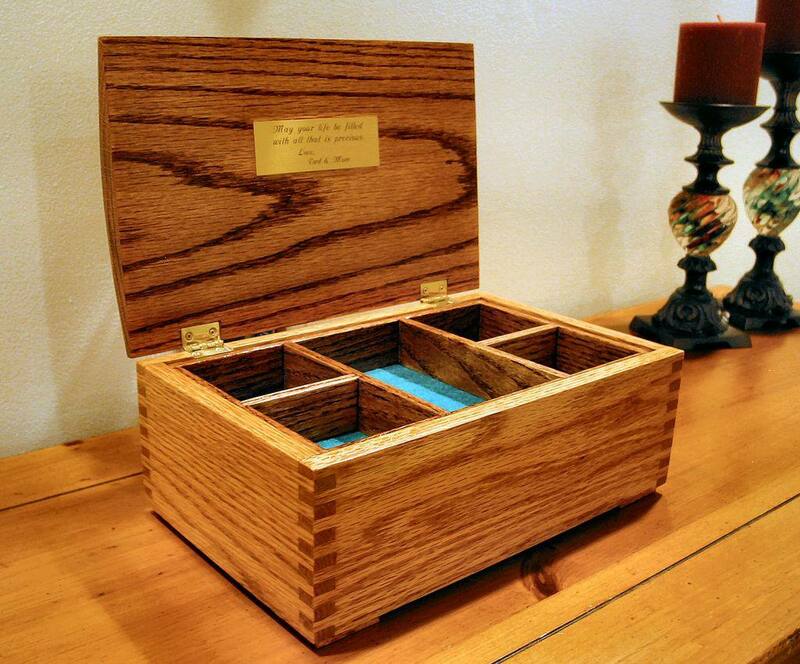 Instructables provides 9 steps for explaining how to build a jewelry box. This plan provides all the tools and materials you'll need to complete the entire project, including the steps to make it happen. There's lots of text in this free plan, but plenty of pictures too so that you can get a full grasp of how it's done. Ana White has lots of great free woodworking plans, one of which is this jewelry box. A shopping list is provided that includes the tools and other things you need for building it, with a list of materials you need to cut for the project, and an illustration showing the jewelry box's dimensions. A PDF file can be downloaded that includes further instructions that are more detailed than what you see through the link above. This is another jewelry box plan from Ana White, but it includes additional drawers and is, therefore, more complex to build. As with her other plan, this one includes all the tools, instructions, and materials that are required for constructing the jewelry box. A PDF file is also available at the bottom of the plan, which shows specific illustrations for how the box should be put together. If you have too much jewelry for just one small jewelry box, consider using this free jewelry cabinet plan from Her Tool Belt. There are 6 drawers, fold-out sides, and a case on the top complete with a lid that flips up to show a mirror. There's a materials list, cut list, step-by-step directions, and lots of diagrams included. With this secret compartment jewelry case plan from Sawdust 2 Stitches, you can keep your jewelry hidden until you need it behind a mirror that sits atop three drawers and hooks. Everything you need is included in this free plan to build this unique jewelry box wall unit. You'll actually get three different jewelry box plans within this one plan on Popular Woodworking. There are plans for a standard jewelry chest, a Twister jewelry box, and a Dovetailed Keepsake Box plan. There's a lot of detail in these plans, like actual building pictures, illustrations with detailed measurements, and lots of written instructions. These plans are stored in a PDF file. This is a simple, free jewelry box plan that's meant for beginners. The instructions for this plan are in a PDF file with the list of tools, cutting requirements, and other items clearly listed and organized to make it easy to understand what's needed to build the jewelry box. While the assembly of this jewelry box is more simple than most plans, the instructions are laid out in text form only, so it may actually be a little harder to follow than the plans that include pictures. Download the PDF at Craftsmanspace and you won't any problems following along with the construction of this jewelry box. There are lots of detailed drawings and instructions. This jewelry box is perfect for embroidery needles, threads, and the like. But it's also ideal for anything small that can fit in the storage spaces. Another free jewelry plan, this one is from Woodworking Crafts, and its instructions are designed a bit differently than the others in this list. This may make it a little harder to build. Included are several real images of the building process, but there are also a couple illustrations that show how it's all put together. 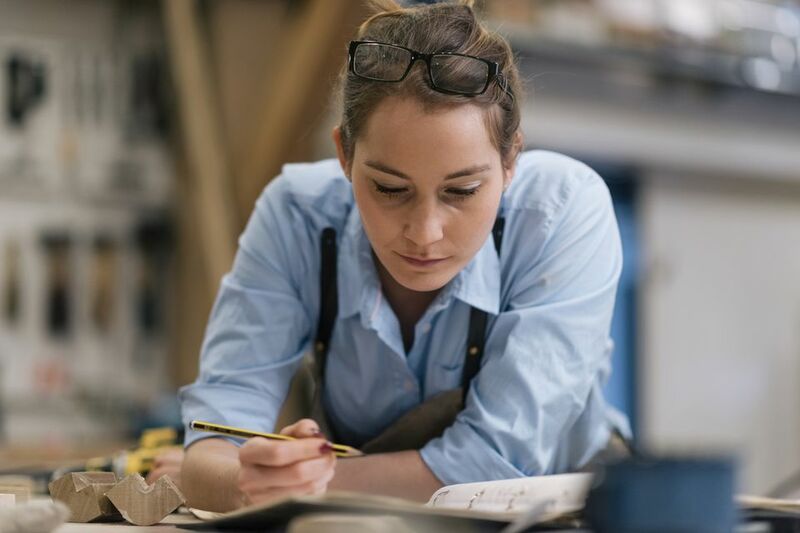 On top of that is a cut list and lots of text that you must read through to understand how the framework, hinges, trays, and other parts are to be built.